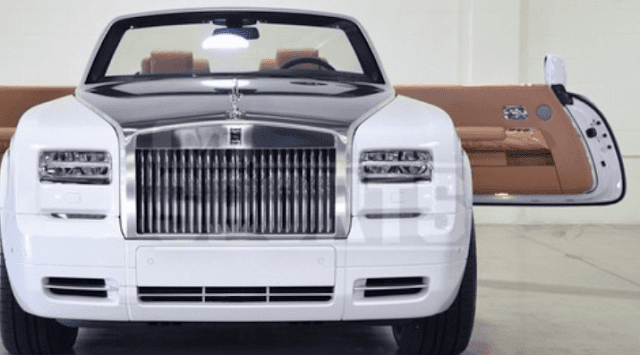 Floyd Mayweather has bought his girlfriend a $550,000 Rolls Royce "just because he felt like it". TMZ reports they spoke with Floyd's car guy Obi Okeke from DoctorBugatti who tells them Floyd hit him up last Thursday and ordered up a white 2016 Rolls-Royce Phantom Drophead Coupe as a gift for his lady Bad Medina. Okeke says the ride was delivered to Bad Medina on Saturday -- and obviously, she loves it. "This is the 4th car Floyd has bought for her in less than two years from me. She has 3 Rolls-Royce Ghosts and now the 2016 Rolls-Royce Phantom drop."